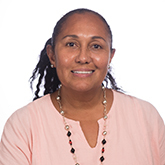 Dr. Cruz-Torres' research focuses on the impact of globalization and neoliberal policies upon the environment, local communities and households. Her current research, funded by the Wenner-Gren Foundation for Anthropological Research, examines the intersections between gender and sustainability in the shrimp industry of northwestern Mexico. Dr. Cruz-Torres has conducted research on the social and environmental dimensions of fisheries and aquaculture development in Mexico, Puerto Rico, and Florida. She has also conducted research on the political ecology of water and irrigation in the Mexicali-Calexico border. She was a consultant for a National Science Foundation Bio-complexity Project focusing on the links between human and biophysical processes in coastal marine ecosystems in Baja California, Mexico. She is currently the President of the Political Ecology Society and teaches courses on political ecology and ethnography of the borderlands and on gender and sustainability. Cruz-Torres, M. L. 1992. Shrimp mariculture in Mexico. World Aquaculture 23(1):49-51. Cruz-Torres, M. L. and P. McElwee eds. 2012. Gender and Sustainability: Lessons from Asia and Latin America. University of Arizona Press. Tucson, AZ. Cruz-Torres, M. L. and R. E. Moran Angulo. 2007. Fisheries, Sustainability and the Environment in Sinaloa, (Pesca, Medio Ambiente y Sustentabilidad en Sinaloa). University of Sinaloa Press. Cruz-Torres, M. L. 2004. Lives of Dust and Water: An Anthropology of Change and Resistance in Northwestern Mexico. University of Arizona Press. Tucson, AZ. Cruz-Torres, M. L. 2012. Contested livelihoods: Gender, fisheries and resistance in northwestern Mexico. Pp. 207-230 In: Cruz-Torres, M. L. and P. McElwee eds., Gender and Sustainability: Lessons from Asia and Latin America. University of Arizona Press. Tucson, AZ. Cruz-Torres, M. L., P. McElwee and P. McElwee. 2012. Introduction: Gender and Sustainability. Pp. 1-24 In: Cruz-Torres, M. L. ed., Gender and Sustainability: Lessons from Asia and Latin America. University of Arizona Press. Tucson, AZ. Cruz-Torres, M. L. 2011. El Género y la Sustentabilidad desde la Perspectiva de la Antropología Cultural. Pp. 182-193 In: Acharya, A. ed., Migración, Género y Tráfico de Mujeres: Una Perspectiva desde la Sustenabilidad. Editorial Académia Española. Madrid. Cruz-Torres, M. L. 2007. Gender, work and globalization: The shrimp traders of Mazatlan, Mexico. In: Cruz-Torres, M. L. and R. E. Moran Angulo eds., Fisheries and Sustainable Development in Northwestern Mexico. University of Sinaloa Press. Culiacán, Mexico. Cruz-Torres, M. L. 2001. The rural people of Mexico's northwest coast. Pp. 19-38 In: Stonich, S. ed., Endangered Peoples of Latin America: Struggles to Survive and Thrive. Greenwood Press. Cruz-Torres, M. L. 1996. Shrimp mariculture development in two Mexican rural communities. Pp. 171-191 In: Bailey, C., S. Jentoft and P. Sinclair eds., Aquacultural Development: Social Dimensions of an Emerging Industry. Westview Press. Boulder, CO.